Hand held but clear enough to show what was happening on a very cold night, here are two views of the eclipse. The first shows the umbral shadow, the terminator between the blown-out normal moon brightness and the sharp shadow of earth cutting across. 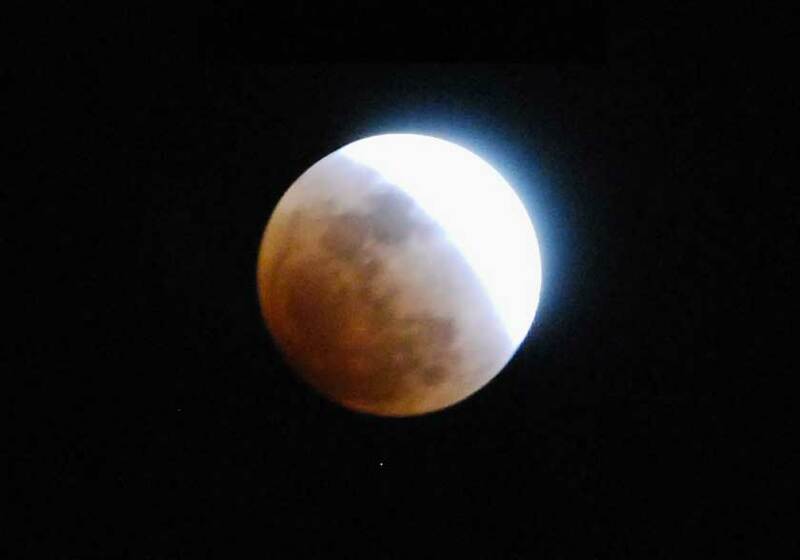 The illumination of the penumbral shadow shows how the earth’s atmosphere bends the red rays of the sun around the black disc of the earth (as seen from the moon) and puts a distinct reddish glow across the lunar landscape. It is this light that bounces back to us, revealing what would be in darkness if the earth didn’t have an atmosphere. 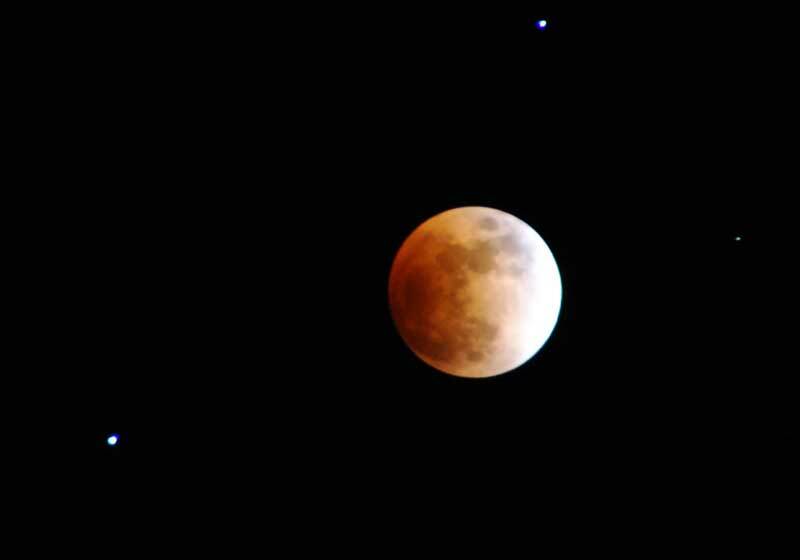 The second shot shows the moon just before the edge of the umbral shadow covers the moon entirely. Now the colors in the penumbral area are much clearer. I’ve brought Saturn and Regulus into the shot … they weren’t that close in real life. This entry was posted on February 21, 2008 at 10:33 am and is filed under Photography. You can follow any responses to this entry through the RSS 2.0 feed. You can leave a response, or trackback from your own site.